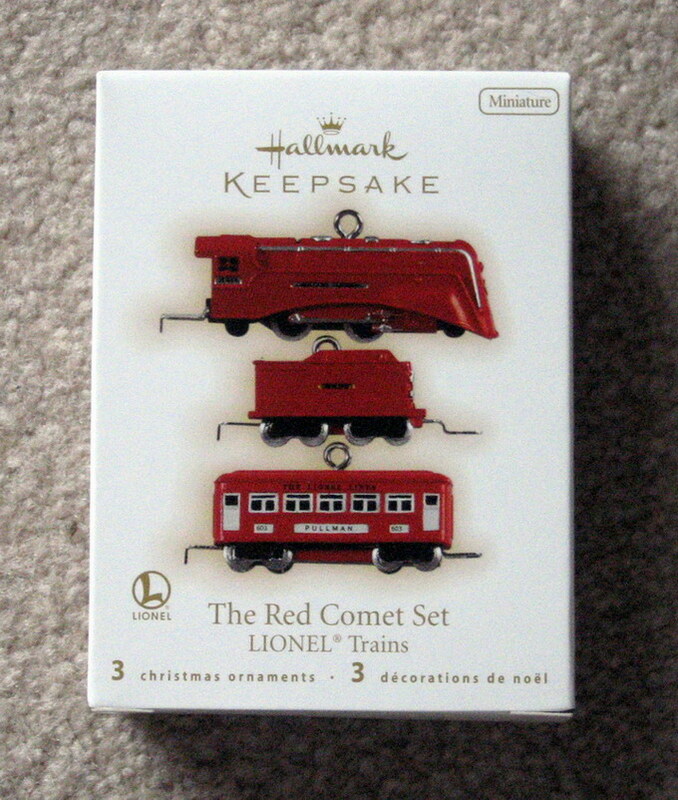 2009 Lionel Red Passenger Comet Set. (QXM9202) - $20.00 : Olson Hobbies, Welcome To The Train Page! Mint Condition 2009, Lionel Red Comet Set. Streamline and elegant, the Lionel Red Comet Locomotive and cars were designed at the height of the Art Deco era. Introduced in 1935, the Red Comet was patterned after the "Ultramodern" New York Central "Commodore Vanderbilt" which proudly whisked the smart set from New York to Chicago, in comfort and style. This miniature train set includes the sleek 2-4-2 Red Comet Locomotive, tender and matching 603 Pullman car. Stock number QXM9202.